Stora Enso has introduced new recycled fibre, FlyoBrite, which can be used in retail printing applications. Designed to meet the requirements of retail customers, the new recycled fibre will help to balance brightness and smoothness, enabling to develop glossy printed image with bright colors. 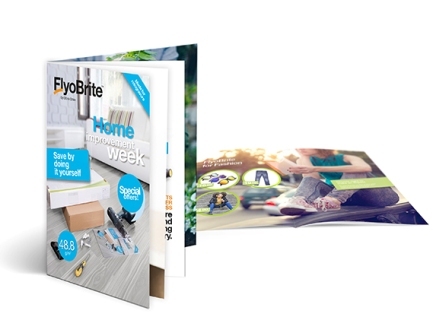 Part of Flyo product range, FlyoBrite, is a glossy machine finished uncoated mechanical paper that provides enhanced brightness and smoothness for the printed image. The new paper can be used in printing methods, including heat set web offset (HSWO) and rotogravure. With commercial flyers and supplements as end uses, FlyoBrite is available in various grammages such as 40, 42.5, 45, 48.8 g/m². According to the company, FlyoBrite helps to reduce transportation costs with carrying less number of reels, providing a better choice than virgin fibre alternatives. Stora Enso paper division improved and book papers vice president Juha Ceder said: “Flyo Papers are the recycled choice for retail print! Made from 100% recycled fibre, FlyoBrite contributes to the circular economy in which nothing is wasted and all materials are used efficiently. “Due to its high brightness, super smoothness and enhanced whiteness, FlyoBrite helps products shine!" Recently, Stora Enso announced that it will exhibit Ensocard Resilience board product for child resistant packaging at Interpack packaging exhibition, which will be held in Dusseldorf, Germany. The product is a new material option for packaging applications which needs high tear-resistance. It features renewable baseboard and PET coating on both sides, which adds strength to withstand tearing. Image: Stora Enso’s new FlyoBrite recycled fibre for retail printing applications. Photo: courtesy of STORA ENSO.